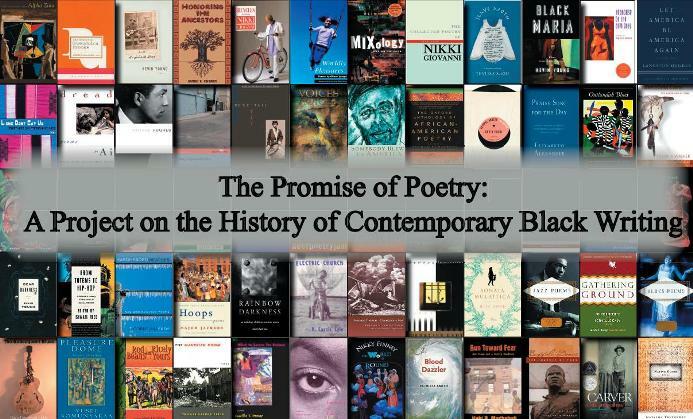 Over the last couple of years, the Black Studies Program has collected about 100 volumes of poetry by African American poets published between 2000-2011. Nearly half of the books came from my personal collection. We purchased several more, and some others were donated. We have newer books by writers such as Amiri Baraka, Rita Dove, Nikki Giovanni, and Quincy Troupe, who all established their careers decades ago. We have books by a somewhat newer generation of writers, including Terrance Hayes, Camille T. Dungy, Jericho Brown, and Tara Betts. Books by Frank X. Walker, Patricia Smith, Tyehimba Jess, Vievee Francis, and the late Lucille Clifton? Got'em. Allison Joseph and Kevin Young have produced quite a few volumes over the last ten years, and we have all their books. 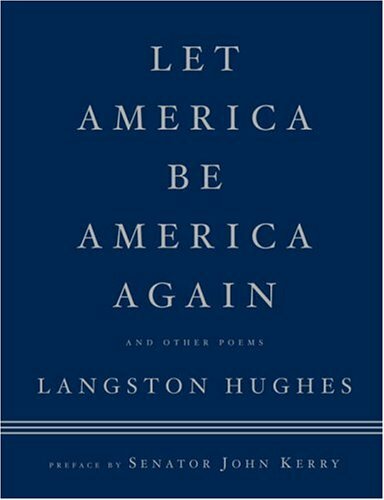 We have the 2004 booklet Let America Be America Again by Langston Hughes, which was released as part to coincide with Senator John Kerry's presidential campaign, which used the words from Hughes's poem as a campaign slogan. We have the booklet Praise Song for the Day by Elizabeth Alexander, the poem for Barack Obama's inauguration. But this collection, I hope, is about more than just books to put on the shelf and look at. I got the idea to start bringing my own books in to class when I discovered that my students had so little contact with contemporary volumes of poetry. I started having "browsing sessions," where they could look at, touch, flip through, and read volumes by a wide range of poets. I then began blogging about some of the poets like Evie Shockley and Kevin Young. And our program was fortunate to recruit this talented graduate student Emily Phillips who wrote several posts about Allison Joseph, Marilyn Nelson, Nikki Giovanni and other poets represented in our collection.